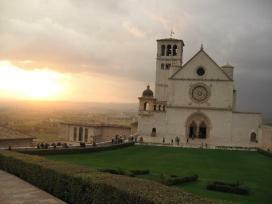 Here is a mini guide to discover the best things to do in Assisi. The city symbol of peace which identifies itself with one of the most beloved and revered saints in the world, St. Francis of Assisi, it is at the same time a delightful medieval town with lots of hidden corners and typical foods. You must begin your Assisi tour with the beautiful Basilica of St. Francis, built in the XIII century established by two parts so different as complementary, the Lower Church and the Upper Church. Enter through the big oak doors carved by Niccolò da Gubbio and enter the Lower Church, going down the nave you will admire the St. Catherine's Chapel, built by the famous Cardinal Albornoz, who is buried there. Go into the main nave and admire the wonderful side chapels painted by Giovanni da Cosma and Taddeo Gaddi, as well as the vault of the nave with wonderful frescoes by various artists including Simone Martini, Giotto and his school. Down the nave you will find the high altar, erected at the tomb of St. Francis, which dominate over the four great Giotto frescoes in which he glorified the three fundamental virtues of the Franciscan Rule: Poverty, Chastity and Obedience. From the Lower Church you can go down to the crypt in which rests the body of the Saint. Perhaps you did not know that... >> This basement has been converted entirely leaving intact the limestone rock which contained the sarcophagus of the saint! Now look at the Upper Church, with its famous Gothic facade which has in its center a beautiful rose window. Once entered you will be enchanted by the light filtering through the stained-glass windows, in contrast to the lower church in which the light is significantly lower. The top is covered with frescoes narrating the Old and New Testament, whose attribution is still uncertain after the thesis that wanted to entrust the authorship of Giotto and Cimabue. The lower walls are works by Giotto and his school. This is the most important and interesting series of Franciscan paintings. Perhaps you did not know that... >> In the Assisi Church among the 28 beautiful frescoes by Giotto that narrate the life of St. Francis, there is one representing the Saint who appears to his companions in a chariot of fire. This is a vision that friars had in the Church of San Rufino, while St. Francis was praying. 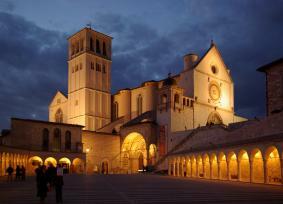 >> Do you want to discover Assisi's treasures? Check it out now of the best farmhouses in Assisi. Outputs from the Upper Church, you will walk along Via San Francesco to reach the medieval Piazza del Comune around which stands the Temple of Minerva, dating from the first century B.C., a true jewel of ancient art. Returning in the footsteps of the Saint, leave the square and go down. At your right you will see the New Church, built in 600 on the birthplace of S. Francis. Around the church you come to the Oratory of St. Francis Piccolino, in which according to legend was born the Saint. Walking along Corso Mazzini you will arrive in Piazza S. Chiara, overlooked by the Basilica of St. Clare. Inside it, you will admire the remains of the Saint and the beautiful wooden crucifix which, according to legend, spoke to S. Francis. Perhaps you did not know that... >> Provençal troubadours spread all over Europe and even went down to Assisi. From them Francesco learned the art of poetry, facilitated by the knowledge of the French language from his mother, having he himself origins in Provence. One of the best things to do in Assisi is surely a visit at St Rufino Cathedral, the church dedicated to Assisi's Patron St. Rufino. In the interior of the church you will find a Roman cistern, the baptismal font in which Francis and Clare were baptized, and the beautiful crypt of Basilica Ugoniana which dates back to the twelfth century. Take a look at Francis' poor places: the Hermitage and Basilica of Saint Mary of the Angels with its Porziuncola Chapel. One of the most original things to do in Assisi is a tour of the medieval walls and don't forget Rocca Maggiore to make amazing photos! 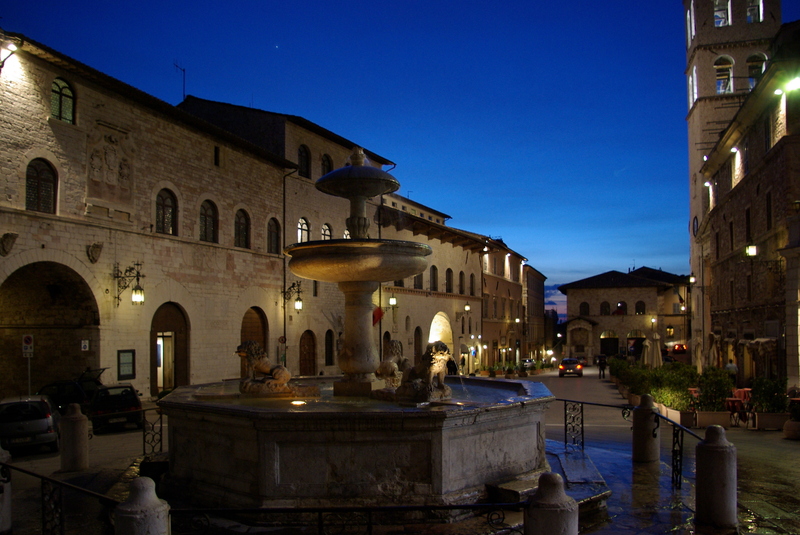 Assisi has not only food for the soul and our mini-guide wants to suggest you what to eat in Assisi. See the best restaurants in the area of Assisi! >> Click here and book. 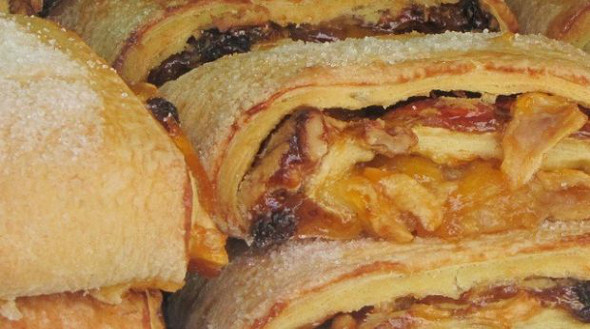 If you've decided to visit Assisi and taste the delicious Umbrian cuisine you should contact now farmhouses near Assisi >> click this link.